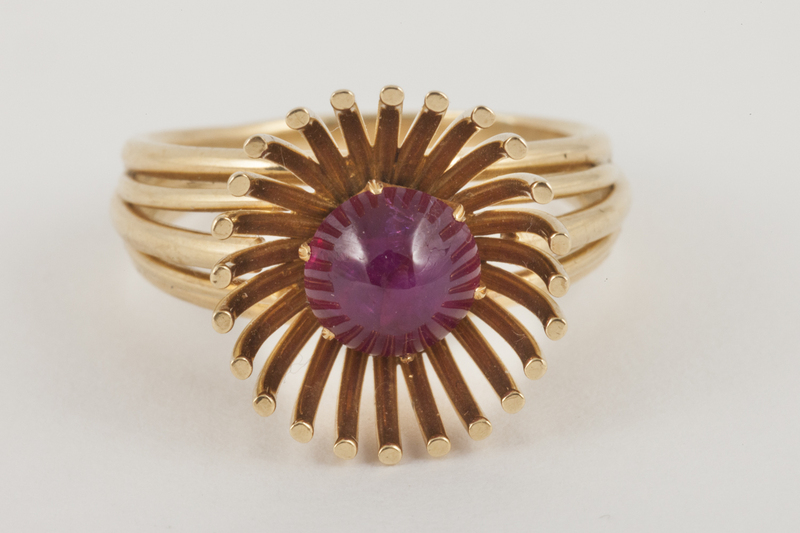 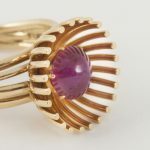 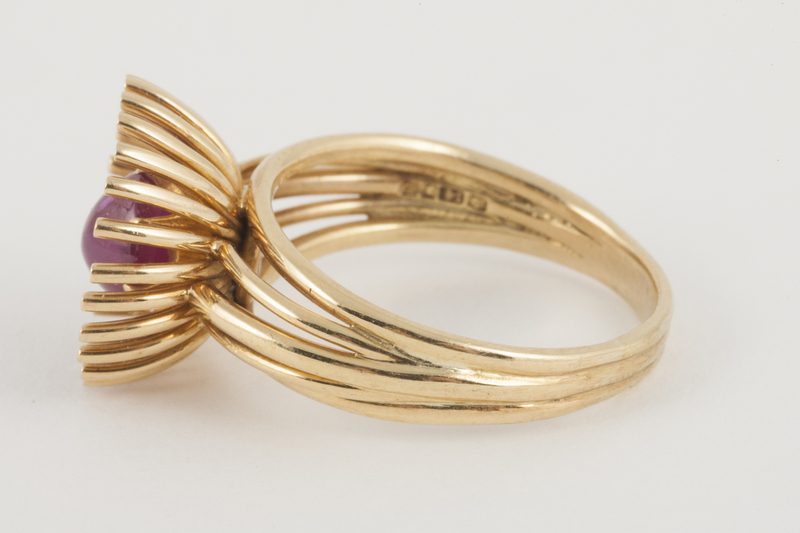 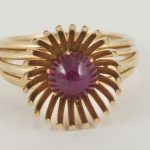 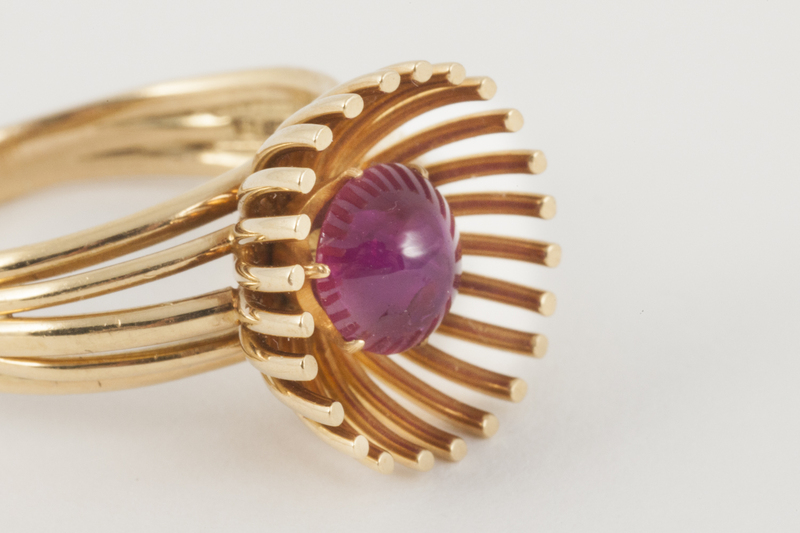 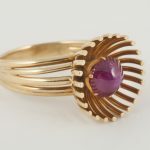 An 18 carat yellow gold ring of Flower Design, with a central cabochon shaped Burma ruby. 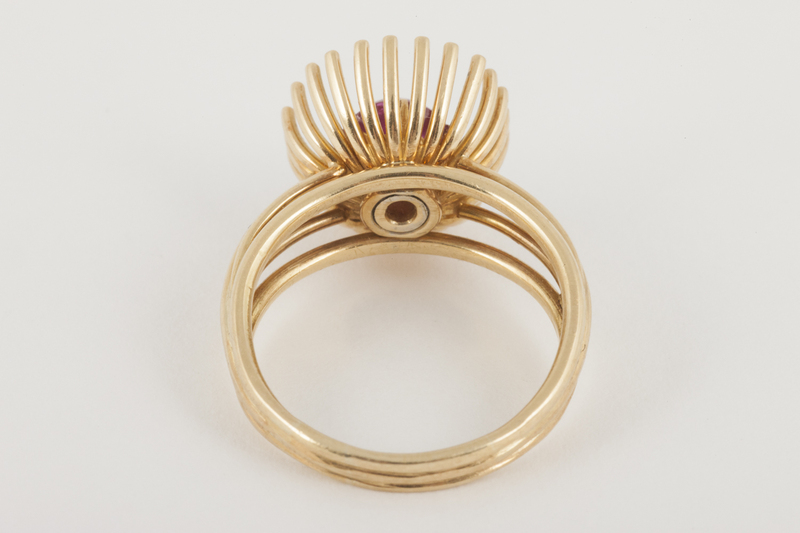 Signed HM, Hans Mautner of London and dated 1954. 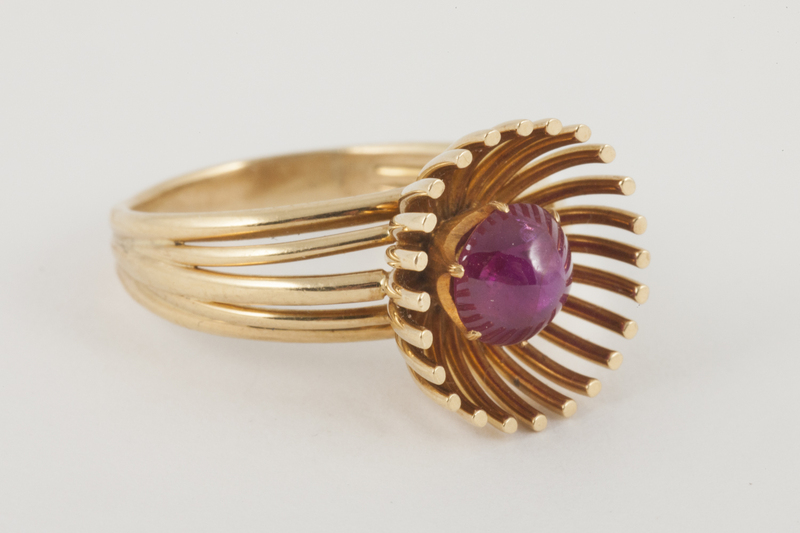 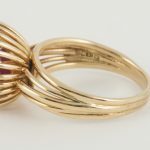 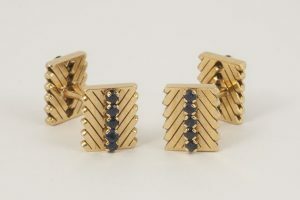 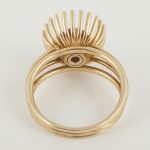 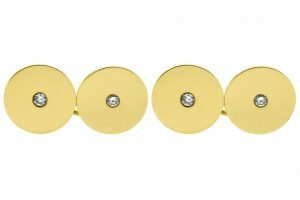 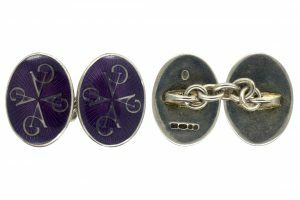 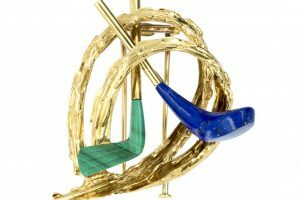 Hans Mautner was a well known Jewellery Designer in London in the 1950-60 period.